Great bonefishing in the Bahamas is a product of geography. And more than white-sand beaches, an enviable climate, and a culture that exudes both kindness and hospitality, our attraction to the Bahamas is inextricably tied to the water. 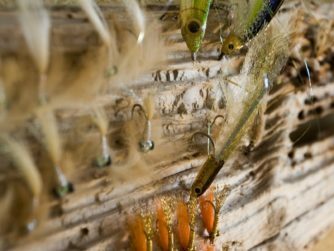 This is especially true for traveling anglers who annually pilgrimage to the country in search of large, hard-charging bonefish. All told, the island archipelago has more than 700 islands and thousands of cays. Its total land area is a scant 5,000 square miles. 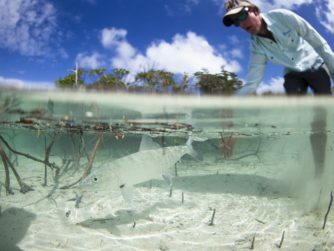 But more importantly, the Bahamas has more than 70,000 square miles of prime skiff- and wade-friendly features, home to some of the healthiest bonefish populations in the world. The northern end of the chain starts with Grand Bahama Island, located 75 miles offshore of West Palm Beach, Florida. Great Abaco Island is just to the east. 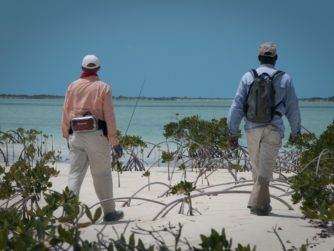 And below Abaco, past the bustling hub of Nassau, and reaching as far south as Cuba, lies a string of less-populated “out islands”—where unpressured inshore fly fishing shines. 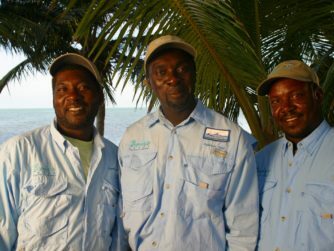 South Andros Island is a storied destination for anglers in search of a true out-island experience. And Bair’s Lodge has been a South Andros institution since opening its doors in the ’80s. Bair’s owes its allure to several factors. Located on the east side of this laidback, palm-studded paradise, the lodge brings all the virtues of a boutique hotel to the world of bonefishing. A stay at Bair’s includes fine dining via carefully crafted menus; plush rooms and cozy communal living spaces; and a relaxing vibe thanks to its private beachside locale. 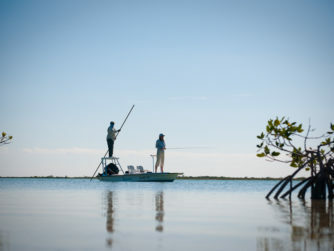 But it’s the spectacular fishing that makes Bair’s a must-visit haven for bonefish fanatics. 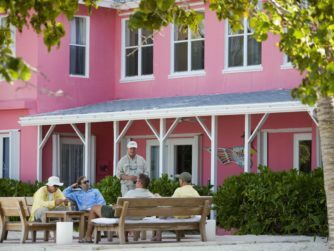 Moreover, Bair’s offers convenient access to the pristine white sand and turtle grass flats of South Andros. Our home flat ushers in sizable bones on favorable tides, and being on the water means you can lace up boots and board one of our new Maverick skiffs without the inconvenience of trailering or getting stuffed into a van for daily shuttles. Deep Creek and Little Creek systems lie within easy striking distance of the lodge. Which is a boon when the wind’s blowing, because they offer some reprieve. Beyond the prolific flats contained within the creeks, Bair’s is also set up for daily expeditions to the untrammeled South and West Side fisheries. Established in 2002, West Side National Park is an unpopulated zone known for its pristine coastal mangrove habitat and prime bonefishing. 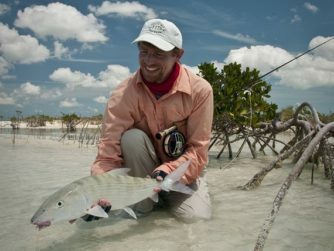 When conditions are right it can be a land of giants—where a handful of double-digit bonefish are annually caught and released. The southern flats, on the other hand, are home to large schools of bones. Grassy Creek is about a 25-minute run from Bair’s. And on calm mornings you can run to Hawksnest Creek and onto the southern keys. Both receive little fishing pressure and are loaded with opportunity. 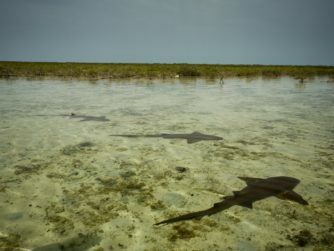 Consistent fishing coupled with a bone-fishery defined by habitat diversity have led to South Andros being dubbed the Bonefishing Capital of the World. Let Bair’s Lodge be your passageway to this promised land.